By profession, Pam Smith is a planning and research consultant for nonprofit organizations. Inspired by her decades-long interest in family history, she is currently pursuing graduate studies later in life at George Mason University in Fairfax, Virginia. There she also works as a graduate assistant for the Office of Institutional Assessment and the Center for Teaching and Faculty Excellence. Prior to starting her consulting business in the late 1990s, Pam directed communications and press for government, civic organizations and elected officials, including Barack Obama. In the mid-1990s she worked on education programs in Burundi and Benin, Africa, and has since traveled the continent extensively. Pam spent 2013 in Washington, DC, working on graduate related research projects. At the National Archives she conducted a preliminary assessment of loose bundled county court records that are languishing in rural courthouses across the country. As a Graduate Fellow at the Smithsonian Institution, National Museum of American History, she studied integration of the ground troops during World War II by 2,221 black soldiers, of which her father, James L. Smith, was one. Ann Neel earned her Ph.D. in Sociology from the University of California, Berkeley. 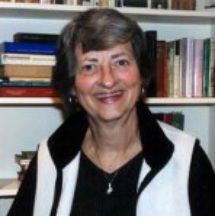 Ann is Professor Emerita of Comparative Sociology and Women Studies at the University of Puget Sound, Tacoma, Washington, where she taught for 26 years and served as Coordinator of Women Studies for over 15 years. On her first sabbatical in 1981, Ann discovered that some of her own ancestors had been slave-owners in Randolph County, Missouri, leading her to focus her research specifically on the relations between white and black women in slaveholding households. For most of her teaching career, Ann has assigned a family history project to her students. From this research experience, they often learn how the past is still with us. After retiring from UPS in 2001, Ann returned to Sonoma County, California, where she reads, writes, paints, and works outside as much as possible. 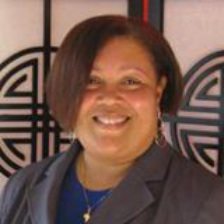 In the last decade, Ann has served as Principal Research Investigator for PSmith Consulting of Chicago, completing studies for the Juvenile Crime Enforcement Coalition and the Chicago Summer Freedom School with Pam. In 2005 Ann was awarded a Family History Research fellowship from the Kentucky Historical Society to continue her work on 75 Randolph County, Missouri families that had emigrated from Kentucky. She continues to teach courses on race and ethnicity, most recently at Santa Rosa Jr. College. Before we met, each of us separately was involved in searching our roots and had come face to face with the realities of slavery in our families, though from opposing standpoints. Then we became friends on the phone through our shared focus on slaveholding in Randolph County in the “Little Dixie” region of mid-Missouri. A year into that association, on a research trip to Randolph County, Pam was shocked to learn from a local genealogist that one of her enslaved ancestors on her mother’s side had actually been owned by one of Ann’s ancestors. Our families’ fraught historical connection instantly altered how we saw our friendship. Given our respective backgrounds in communication and education, we decided to develop a public program to share our historical and personal journey with others and to encourage audience members to do the same. 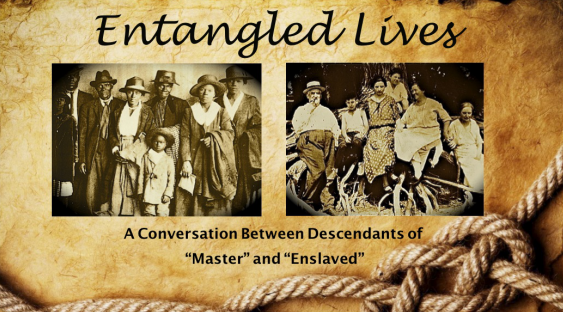 To date, we have presented Entangled Lives together more than six dozen times and appeared on national television three times, including on the Oprah Winfrey Show. A few years ago, the scope of our project expanded again when our research revealed that we are not only linked through ownership, but actually “blood related” on Pam’s father’s side, ten generations back in Virginia.